Are you ready to make your publishing goals come true? There’s no better time than now! If you’ve been dreaming of seeing your book in print (or e-Book! 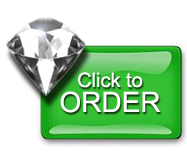 ), take advantage of a great incentive from Outskirts Press and make your goal a reality. 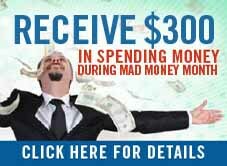 There’s $300 of Mad Money at stake! During the month of February, when you purchase the Diamond or Pearl publishing package and enter the promotion code MADMONEYFEB16 upon checkout, you will automatically receive a $300 reward — Mad Money credit to use toward anything you choose. And there are a lot of options to choose from! Go digital! For under $300 you can offer your readers an Amazon Kindle edition or a Barnes and Noble NOOK edition of your book. Having a digital version is a great way to level the marketing playing field. If you want to reach as many readers as possible, releasing a digital version of your book is the way to go! Your own Personal Marketing Assistant. You’ve written your book, published it, and now it’s time to get people to buy it. For most authors, the biggest hurdle to marketing is time. For others, inexperience in book marketing is a serious stumbling block; and others simply want to get back to what they do best — writing. Here’s where a Personal Marketing Assistant from Outskirts Press comes in. Your PMA will help you map out a plan to market your book at all the right times and in all the right marketplaces, not to mention targeting all the right book-buyers. Use your Mad Money toward five hours of expert help and sell more copies of your book! With the Mad Money promotion and the $400 of free upgrades already included with the Diamond package (standard press release distribution, Spring Arbor Christian distribution, streaming audio excerpt on author webpage, and cover photo selection from an image library), we’re talking about $700 worth of inclusions! The $300 Mad Money reward can also be used toward custom cover design, cover scribing, custom interior formatting, book trailers, celebrity endorsements, writing consultations, and so much more — all designed to give your book an edge in a competitive marketplace. But this popular promotion ends soon, so take advantage of February’s Mad Money today and realize your dream! 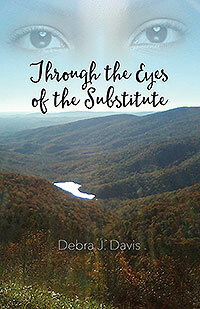 It’s the perfect time to begin the publishing process with Outskirts Press. START PUBLISHING NOW AND COLLECT A $300 REWARD IN YOUR SHOPPING CART! The most valuable self-publishing promotion of the year gives back $300 to authors that begin publishing a book with either the Diamond or Pearl book publishing services in February. During this promotion, authors are rewarded with a $300 credit to use any way they wish. Just enter the promo code of MadMoneyFeb16 during checkout-it’s that easy! For the full details on our Mad Money promotion, click here. Don’t miss a chance to receive $300 that you can use to make your book stand out above the rest! 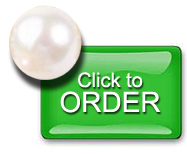 Click the button below to order securely online or call 1-888-672-6657 ext. 706 to order over the phone. Publishing consultants will be available by phone through 8 p.m. MST to assist you. Debra Davis is married and has 1 son, 2 daughters and 1 granddaughter. Debra is a Substitute Teacher for grades K-12th, in Pittsylvania County Virginia, organizer of a community-based non-profit organization, a community activist and a former Qualified Mental Health Professional Counselor. She is also very active member at her church. Debra spends countless hours volunteering, serving others in need. 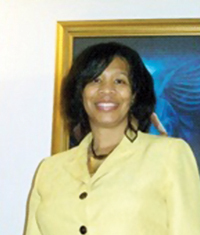 Debra has obtained an Associate Degree in Business Administration and a certificate in Education.